Traditional medicine has relied on the use of plants and their extracts to treat illnesses for thousands of years. Fossil records show that this has been the case for at least 60,000 years, and it is suspected that the practice is actually much older than this. The knowledge of which plants were effective at curing disease or alleviating symptoms has been passed on to the following generation throughout the ages, with each indigenous healer teaching his skills to a chosen apprentice or direct descendant. 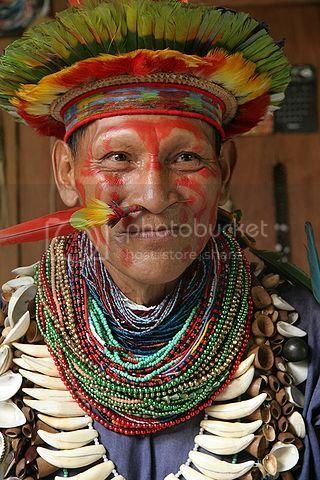 Indigenous healers have been known by a number of different names, including shaman, and medicine man. However, outside of this apprenticeship, the knowledge they possessed was a closely guarded secret. Healing was often seen as a mystical or spiritual art amongst indigenous peoples, particularly because aspects of religious belief were often included. The number of diseases, particularly infections, that are now resistant to modern treatments is on the rise, and this has led researchers to seek alternatives to existing pharmaceuticals, particularly antibiotics. The rate at which new drugs can be developed and made available to the public through conventional methods is constantly struggling to keep pace with disease progression, to ensure that we always have effective treatments on hand. This is made more challenging by the long development phases and independant medical testing that are a part of modern day drug development. Many potential drugs do not even make it out of development due to the presence of liver toxicity or severe side effects. Thankfully, when it comes to identifying compounds that can be used to create new medicines, indigenous medicine provides a great starting point. Traditional medicine uses plants which grow within or around the habitat of the tribe. Indigenous people have amassed an astonishing knowledge of the plants and trees around there home through generations of experience. Because the available plants and trees vary from place to place, the collective medical knowledge of all indigenous peoples across the globe is truly an asset. It provides a qualified starting point for compound research to take place. Due to the length of time that these substances have been used, researchers can generally assume that they are relatively safe for human consumption, although some testing must be carried out in order to confirm this. Despite the lack of formal records among practitioners of herbal medicine, toxicity would have been noticed and the plants avoided (or only used with extreme caution) in the future. This would, however, only work for acute poisoning; if low doses over a long period of time led to chronic side effects, this is unlikely to have been discovered. There is often a difficulty associated with obtaining samples for research, because the areas where the plants are located may be in protected areas, where special permits are required to collect and remove plants and their seeds. Some are in rainforests, where accessibility is a major issue. There are also many species of plant in the Amazonian rainforest that have not been investigated for their potential medical benefits yet. An extremely large number of medicines have already been developed using plant remedies as a basis, and this trend looks set to continue in the future as there is a growing understanding of these ancient practices. The investigation of herbal remedies is known as ethnomedicine, and it has been found that many of the plants being used contain an active ingredient that is either the same as, or closely related to a known treatment. Once the effective plants have been identified, it is necessary to identify the active compound (which is the substance that causes the medicinal effects) and establish a method of producing it on a large scale. In some cases, it may be possible to produce a synthetic version of the molecule, which would be a more reliable source than extracting substances from plants. However, if there are several compounds working together to produce the therapeutic effect, then synthesizing one will mean that the pharmaceutical version of the treatment is less effective, and it may instead be necessary to grow the plants on a large scale, which presents its own problems. Nick Davison writes about rainforest conservation, developing new medical treatments, and the potential medical benefits that the rainforests may hold for mankind. To read more of my work, circle me on Google +. In our home province, we have a lot of medicinal plants. Medicinal plants really help us a lot to treat our ailments, and it helps us to save a lot of money.